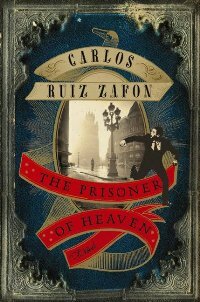 If you haven't read Carlos Ruiz Zafon yet, you should soon. Let me tell you, you're in for a treat. The Prisoner of Heaven is the third novel in the Cemetery of Forgotten Books series, but don't let that deter you from picking it up immediately. One of my favorite things about this particular series is that the books don't have to be read in succession. 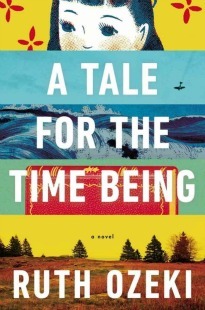 The plot of each book in connected in a circular way, linking people and details across generations and back again. As it is described in the introduction to the novel, "Each individual installment in the Cemetery of Forgotten Books series can be read in any order, enabling the reader to explores the labyrinth of stories along different paths which, when woven together, lead into the heart of the narrative." I will say that The Shadow of the Wind still remains my favorite of Zafon's books, but his two follow-ups are truly fantastic reads. I'm not going to go into too much detail of these books because it really is best to go into them knowing very little. What I will say is that the series is a true testament to books themselves and all the magic they hold; it's about the human desire to understand their past and to make sense of the world in which they live. It highlights the strengths of friendship and family, but also examines the darker side of human nature and the evil of which we are capable. I do have one complaint about this book; I wanted it to be longer. Compared to the first two books in the series, this one was notably shorter, at just under 300 pages. However, I'm excited to report that the conclusion of The Prisoner of Heaven is left somewhat open-ended, which gives me much hope there will be more from Zafon, and hopefully soon. I read Shadow of the Wind years ago and loved it. But until recently, I had no idea it was part of a series! I actually have The Angel's Game waiting on my shelf, and if I'd known the two were connected, I would have picked it up long ago! Anyway, I'm just excited to revisit the characters again. Loved SOTW. Seriously excited! My dad just bought me the book on Saturday. I want to read it, but I'm toying with the idea of reading the three together, one after the other. So The Angel's Game, then Shadow, then Prisoner. Thanks for not giving anything away! After I finsihed this one I was thinking I should really go back and reread Shadow of the Wind - it's been about 5 years since I first read it and I don't remember all the details like I used to! I hope you enjoy Prisoner of Heaven. PS. That's my own order; as you said, the book says they can be read in any order. *Sigh* I'm sad to say I haven't read these books yet :( I really don't know why. I didn't know that you didn't have to read them in order though, that is seriously cool, but honestly, I don't know if I could do that! It would be hard for me to purposely NOT read them in said order. I love Zafon! I need to pick this one up. Thank you so much for this review, I hadn't realised the third book was already out - will be picking it up as soon as I can. Love this series. I didn't realize it was out so soon either. I had it on my radar at the beginning of the year then completely forgot! It sounds like we had a really similar reaction to this one. I just reviewed it a week or two ago and I loved it. Like you, I wish it was longer, but I loved learning more about each of the characters. Can't wait for the final book! I started reading Shadow of the Wind a long time ago, but something distracted (I've completely forgotten what) and I never finished it. I didn't realize there more books after it! Shadow of the wind was a birthday gift from my room-mate. She thought it would be a nice read, considering it centered around books. And I have loved every bit of it. However, I am always skeptical when I like something too much. And have thus been thinking if I should read Zafon's other books. But now I think , I will. Thanks.